The Jefferson Islands Club was founded on the Poplar Islands in the Chesapeake Bay in 1931 by several Democratic Senators as a place to escape their hectic political lives. Known as the “Playground of Presidents” in its early years, the Club hosted many Presidents including Roosevelt and Truman and political luminaries of the day. 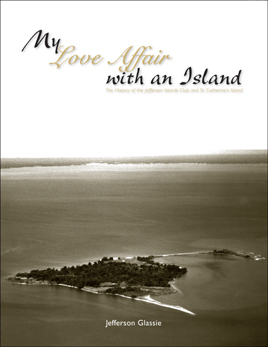 The Club moved to its present location on St. Catherine’s Island in 1945. Jefferson Glassie has been going to the Island since 1954, and has served as Club Manager, Executive Vice President, Historian, and on the Board of Governors. In this book, he recounts the history of the Club and the Island he loves, with many stories and anecdotes from the Club’s 75 year history.